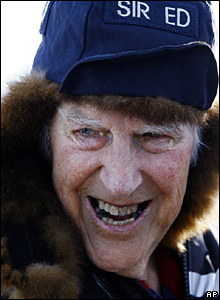 A service of thanksgiving has been held for Sir Edmund Hillary, who was the first to conquer Mount Everest in May 1953. 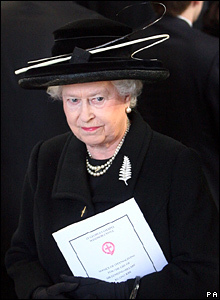 The Queen led the royal presence at the service. There were also members of Sir Edmund's family and dignitaries from New Zealand. 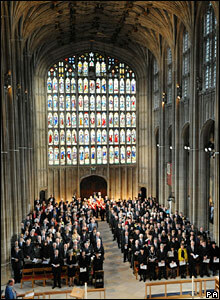 The service at St George's Chapel in Windsor Castle followed Sir Edmund's death at the age of 88 in January. 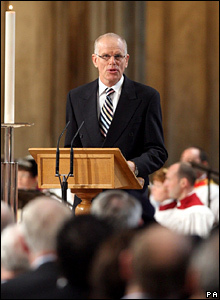 Sir Edmund's son Peter addressed the congregation. He described how proud his father was to have close links with the Royal Family. 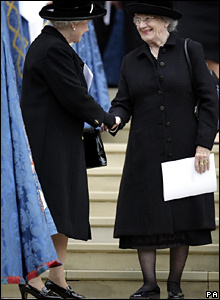 The Queen greeted Sir Edmund's wife Lady June Hillary. News of his historic feat broke on the day of the Queen's coronation. 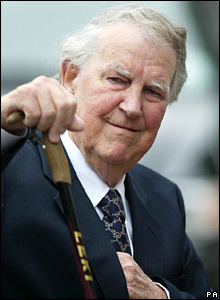 Sir Edmund was honoured with a state funeral in his native New Zealand, and his ashes scattered in Auckland Harbour. 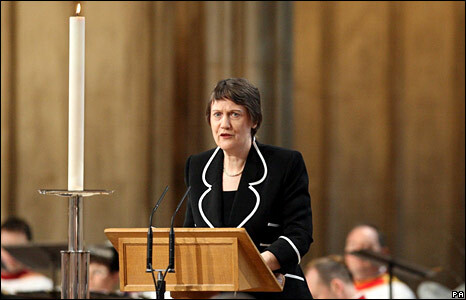 New Zealand Prime Minister Helen Clark was at Windsor for the service. She said Sir Edmund "shared a history" with the Queen. 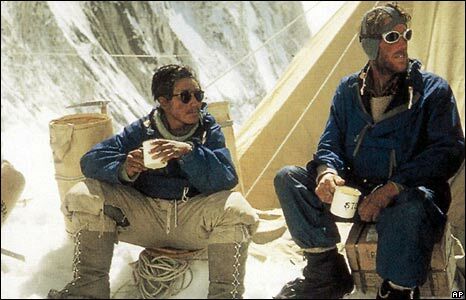 Sir Edmund was joined in his epic ascent to the peak of Everest by the Nepalese Sherpa, Tenzing Norgay, whose son was at the service. 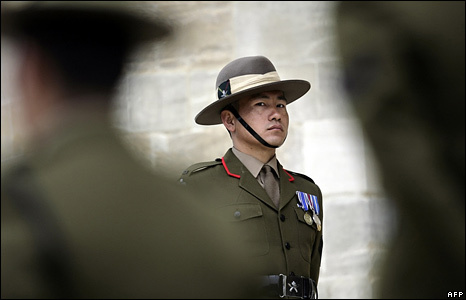 Gurkha soldiers from Nepal stood guard outside the ceremony at St George's Chapel.